The Patterson Law Group created an interactive traffic map to decrease the accidents that occur in highly trafficked areas. 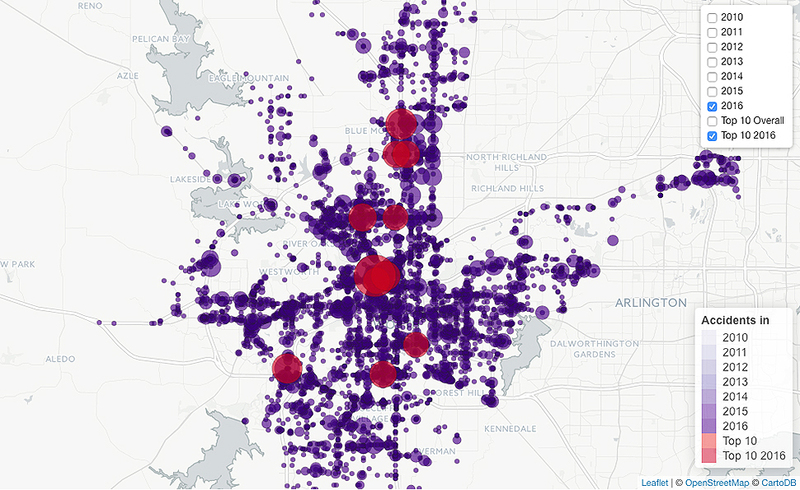 A new interactive map tracks the intersections with the most traffic accidents in Fort Worth in order to raise awareness and prevent future crashes. 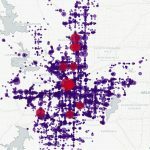 Patterson Law Group created the map using data from every reported crash in the city within the last five years, according to NBC5. The intersection at Henderson and Weatherford streets in downtown Fort Worth was home to a total of 51 crashes in 2016, making it the most dangerous spot in the city, according to NBC5. With 28 crashes last year, North Riverside Drive and Western Center Boulevard is ranked the second most dangerous intersection. Patterson Law Group intended for the map to reduce the number of accidents by informing people to be safe and alert on the roads. “We want people to realize that it can or probably will happen to a loved one, and take the steps ahead of time to be prepared,” Travis Patterson, a lawyer at the firm, told NBC5. NEXT ARTICLE Genetically Modified Mosquitoes: Can They Fight Diseases?